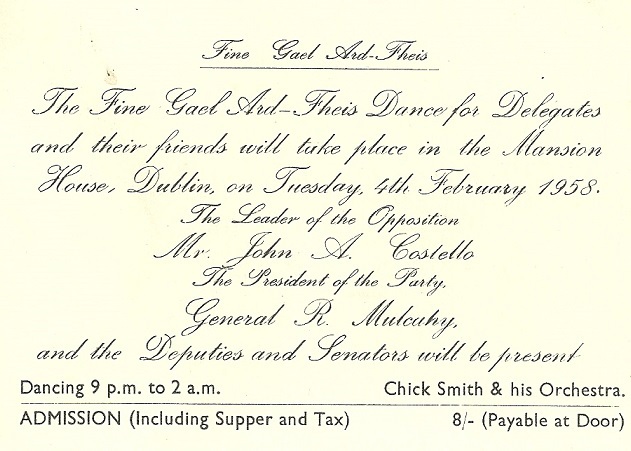 A flyer for the Dinner Dance in The Mansion House from the 1958 Fine Gael Ard Fheis. John A. Costello and General Richard Mulcahy were among those due to be present. 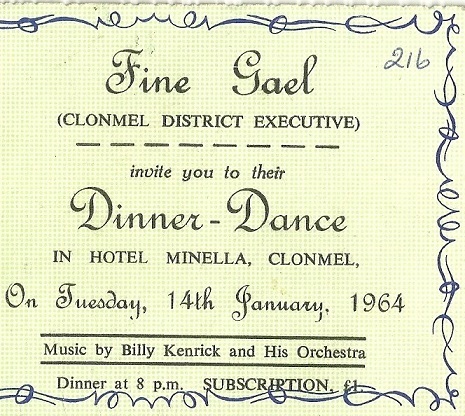 Another flyer is for a Dinner Dance in Clonmels Hotel Minella in 1964.